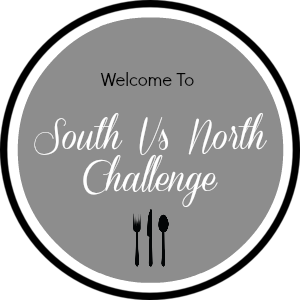 This is an excellent event to know more about other regional cuisines...I am very happy to be part of Southern team and the challenge we got from North team was Bhel Puri from Shruti's Rasoi. Bhel puri, a well known north indian chaat ....made up of veggies, puffed rice and chutneys. Add flour, jeera, salt and oil in a mixing bowl. Mix well, add water little by little and knead them to form a dough. Cover and keep aside for half an hour. Then roll it using rolling pin to a thin sheet and cut into small circles. Then prick holes with fork, to avoid them from getting puffed. Heat oil and fry them in batches. Drain them in kitchen tissues and keep aside. Add 5 cups of boiled water to tamarind and keep aside for half an hour. Extract juice from it and boil in a heavy bottomed pan. Add jaggery, red chilli powder, Jeera powder, black salt, dry ginger powder and salt. Mix well and boil them until the chutney becomes semi thick. Add Mint, coriander leaves, chopped Mango, green chillies, jeera and salt in a mixie. Add papri in a bowl. Then add peanuts, lemon juice and salt. Mix gently till the mixture gets coated well with the chutneys. Divide the portions into 2 equal parts in the serving plate. Garnish them with chopped raw mango, sev and coriander leaves. Linking this recipe with Divya Pramil's SNC Event hosted by Shruti's " Shruti rasoi "
Wow you rock Priya, such an irresistible and super tempting chaat,will post mine soon. very nice Priya.. super quick in trying.. tempting and delicious chaat.. will try and post soon too.. I agree, homemade things are always healthy and fresh !! I love all kinds of chaatn this bhel puri chaat looks really yumm n tempting...well made! Yummy chaat.. 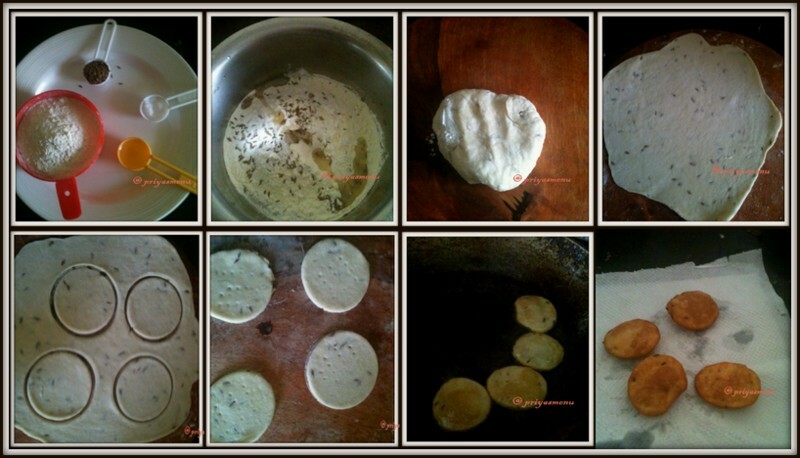 It looks delicious..
Wow you've completed the task Priya :) Great!! I am slow than u guys..Gotta get lots of things from the shop..Hmm I find Mysore pak easier..lol... :) Just 3 ingredients na!! Well prepared and nice step by step clicks dear...Good one!! Wow.. nice effort Priya.. Yummy Bhel Puri..
Wow............amazingly made bhelpuri chaat Priya. Perfect and yummy. It is really adorable, that you made papri in home. I think everyone of your home enjoyed this bhelpuri chaat.